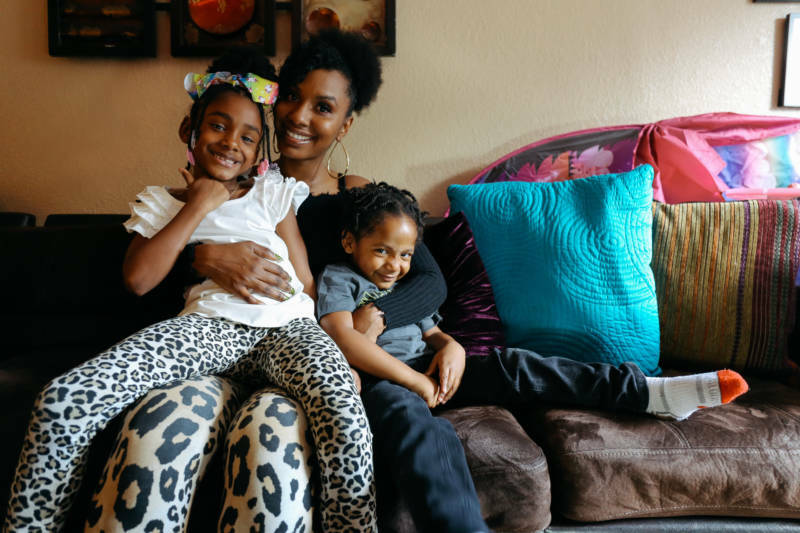 When Toni Rochelle moved to Oakland in 2017, she didn't know much about the local school system. It was a busy time for her — it was late summer, she was in the middle of a divorce and she was juggling two jobs. "I did everything late because of what was going on at the time," she admitted. That included enrolling her daughter, Talia, for transitional kindergarten. Rochelle decided to simply go with her neighborhood school, Sankofa Elementary. It checked off a lot of boxes: It was right down the street from her job, right around the corner from her house, and it had an after-school program. It seemed perfect. Once school started, however, Rochelle began to have concerns. "I think we had maybe two or three principals at the time during that school year," said Rochelle. "It was just a lot of things. Coming in, picking up my child and she's watching TV!" It wasn't until Rochelle met parents from a local activist group called Oakland Reach that she learned the school's test scores were far below state standards. Those same parents also told her about a way to try to enroll her children in better schools, through a process called open enrollment. "There's no public announcement for this," said Rochelle. "It's a secret. A well-kept secret." During Oakland's open enrollment period, parents of kindergartners and students transitioning into middle or high schools can indicate and rank their school preferences. It's also when students in any grade can try to change schools. Parents must submit applications between November and February for both OUSD and charter schools. Parents are notified of their child's placement in mid-March and must make a final decision about enrollment by April 2. Oakland parents who understand the enrollment process can start researching their options months in advance, and not surprisingly, most who apply request the city's best-ranked schools, both district-run and charter. Nearly half of these applications come from parents living in Oakland census tracts where residents are wealthier and more educated, according to district data. And timing matters. Parents who apply during the initial enrollment window have a real advantage. According to the district's enrollment director, Charles Wilson, 66 percent of families who applied during the main enrollment period last year got their first choice. Those who don't know about open enrollment or miss the deadline can find themselves in long lines trying to switch schools right before the beginning of the school year, when most in-demand schools have already filled up. 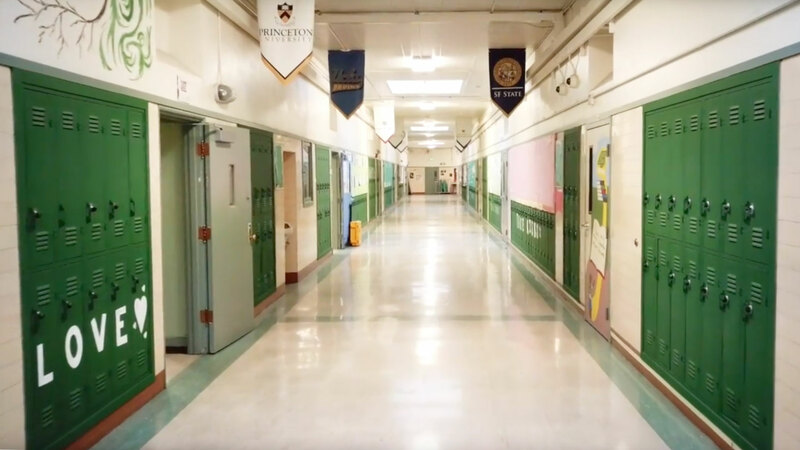 Peralta Elementary is one of the most requested schools in Oakland and is located in a neighborhood where homes are valued at over $1 million. One parent of a Peralta student, Jonathan Osler, is questioning Oakland's current enrollment system, which is largely based upon neighborhood boundaries. "What this means is, if you can't afford to live in the neighborhood, you have very little chance of getting into this school," Osler said. "We are in a district where the kids are segregated along lines of race and class, and resources are segregated along those lines as well." Osler said he was able to afford a house in a neighborhood that is within Peralta's attendance zone, which meant his child had priority to be enrolled there. Eighty percent of Peralta's students live nearby. "You also have about 60 elementary schools in the district, and 70 percent of all white kids attend only 10 of those schools," said Osler, who works for the Oakland Public Education Fund. "As a white person I feel the responsibility to lift up these questions of what has led to this concentration of advantage, and what are those of us in these positions going to do to ensure there are more equitable opportunities and outcomes for kids across the city." According to a report by the Oakland-based GreatSchools, a national nonprofit that rates schools, only 2% of African American students and 6% of Latino students in the state attend what GreatSchools defines as a high-performing and high-opportunity school — that's compared to 59% of white and 73% of Asian students. In Oakland, white students are 11.4% of the district-run public school population but are concentrated in a handful of top-performing schools. Osler said the current enrollment system has "fed into the belief that some people are entitled to more resourced and quality schools than others, and I don't believe that." Osler is part of a community group called Equity Allies that recently raised over $100,000 to distribute to schools with fewer resources. "We feel a real strong need for much more investment in schools across the city," said Osler. "Parents should be able to feel great about sending their kid to their local school in their own neighborhood. It's just that those schools need significantly more resources to ensure quality outcomes." The open enrollment process allows all district parents to apply to enroll their children in the schools of their choice, but less than a third of district students participate. District enrollment director Wilson said he's been trying to get the word out about open enrollment via text and email. He said the number of parents who applied this year is on the rise, up to 9,539 from 8,110 last year. The parent group Oakland Reach has been working to teach parents, particularly in East and West Oakland, how to navigate the district's enrollment process to enroll their children in better district schools. Oakland Reach has also been canvassing parents outside low-performing schools to tell them about a school's low test scores and to get parents active in attending school board meetings to demand better schools. The organization gets funding from pro-charter philanthropies and offers parents a $300 stipend to attend a five-week training session, along with a voucher for a computer. It has helped parents apply to both district-run and charter schools. Oakland Reach helped 64 families move their kids to better-performing schools during this year's enrollment process. In March, Oakland Reach flexed its political muscle, lobbying for and winning school board approval for an Opportunity Ticket. It's an enrollment policy change that will give students from schools that are being closed and merged priority over some neighborhood kids in admissions. Toni Rochelle recently heard from the district that her daughter was placed in her first-choice school next fall, KIPP Bridge Charter School. Test scores there are still below state standards, but it's performing better than her neighborhood school, Sankofa Elementary, by far.